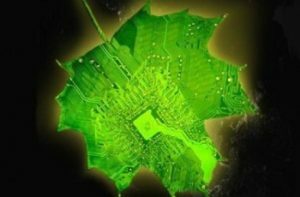 Introduction- Researchers have gone a step closer to the process of Artificial Photosynthesis by creating a new catalyst. A system that that is similar like plants enabling to use renewable energy to transform carbon dioxide (CO2) stored into chemical energy. Storing energy forms like solar and wind along with capturing of carbon emissions providing an invention of one-two punch in the fight opposite to climate change. Description- Two promising technologies considered by researchers are carbon capturing and renewable energy with few and minimal problems. The uses of carbon capture are very minimal as you can store them in battery but cannot be used for heat in winter or for running a plane and specifically for that everyone will require a fuel, this process of carbon capturing is very expensive and periodic because of solar and wind power. The lead researcher worked with other researcher for ultimate and correct result. They did this challenging research because they find their inspiration in nature and with this they continued to design an artificial system that imitate similarly like plants and other photosynthesis organisms utilizes sunlight to convert C02 and water into molecules that humans can later use for fuels. Just like plants have chemical reaction in the same way artificial chemical changes H2O splits into protons and oxygen gas and CO2 to get converted in carbon monoxide or CO.
Research- Researchers worked over last couple of years and developed very high-performing catalysts for first and second reactions but while the second catalyst works under neutral conditions as first catalyst needs high pH levels in order to make them active. 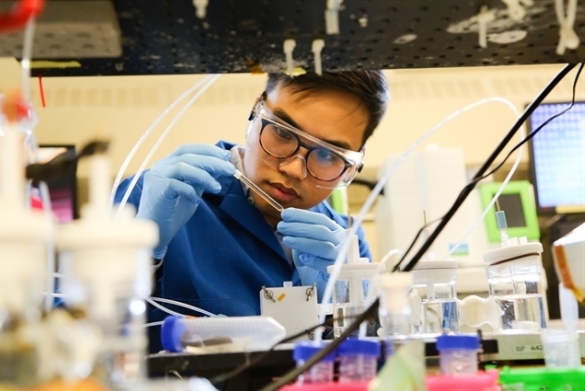 The problem has solved now as the researchers developed a new catalyst for the first reaction as the first one divides water into proton and oxygen gas. The new catalyst is much more effective then old one. The old one has low extra potential that lead to less electrical energy required to drive the reaction forth along with the same neutral pH as the CO2 transformation reaction minimizes the overall capability of the cell. The old conversion efficiency percentage of catalyst from electrical to chemical was 54% but present experiment shows 64% which comprises of nickel, iron, cobalt and phosphorous. All these elements are used because they are of low cost and minimal safety hazards and can be synthesized at room temperature using relatively inexpensive equipment. Researchers worked together and used right operating conditions: flow rate, concentration of electrolyte, electrical potential and credited it with the work of engineering.